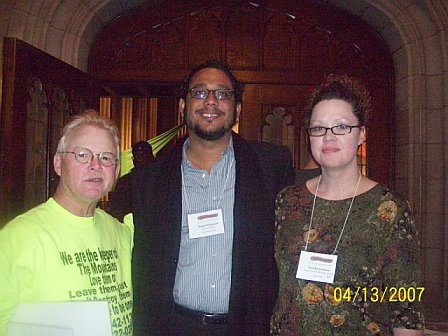 My Truth – Direct Action Welfare Group Inc.
More then 40 million people in America, the wealthiest nation in the world, are currently threatened by a lack of health care, housing, adequate food, education, and living wages.At the second Poverty Truth Commission hosted by Union Theological Seminary on April 13, 2007 leaders from around the country testified to violations of their economic human rights that are and have been a direct result of living in poverty in the United States” I had the honor of representing DAWG at this historic event. US.They are drawing attention to stories of those whose lives are in jeopardy because of poverty.They are bringing attention to the dangerous conditions that lack of healthcare, safe housing, adequate food, education, and living wages can produce. Afternoon sessions included panel discussions featuring poor people who are organizers in their communities and leaders in the fight for economic justice for poor people.The sessions explored ways in which these groups by joining together can play a vital role in the effort to build a movement to end poverty lead by poor people. New York and testifying before the Poverty Truth Commission, telling my truth, changed me.It changed my life and I’m not sure how to put those feelings into words.I spoke better that day then I ever knew was possible.I started with WV statistics, struggling with saying it the “right way”. Then when I started telling my story….Its not that I forgot to be “Evelyn”, to be “the voice of DAWG”.Its that I became me.I found my voice that day.I realized that I was the voice of DAWG just as much as Evelyn.That we are all the voice of DAWG.That anyone who lives in poverty in WV is the voice of DAWG.I’ve come to realize that by sharing my “truths” and the convictions that we all share……….that I represented the very purpose of DAWG.The very reason the organization exists. Next: Next post: Happy Poverty Day!